Featuring 12 delightful stories on three discs, MY FIRST COLLECTION, VOLUME 3 FEATURING CHICKEN LITTLE includes three new stories never before released on DVD: “Chicken Little”, the perennial classic from the award-winning father and daughter team, Rebecca Emberley and Ed Emberley; “Scaredy Squirrel”, an hilarious adaption of Mélanie Watt’s first book in the five-book “Scaredy Squirrel” series and, “Katie Loves the Kittens”, about a puppy thrilled to have three kitten playmates. The three DVDs in MY FIRST COLLECTION VOLUME 3 – part of the line that supports early literacy skills for the pre- and early reader – also sports Scholastic’s innovative read-along function and features narrators such as Sean Hayes, John Lithgow and Randy Travis. BOLD AND COLORFUL ADAPTATION OF PRESCHOOLERS’ FAVORITE STORIES ARE COLLECTED IN VOLUMES OF THE AWARD-WINNING “MY FIRST COLLECTION” DVD SERIES – PERFECT FOR HOLIDAY GIFT GIVING! 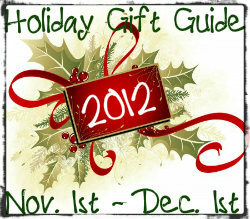 This giveaway will end November 26th at Midnight EST. 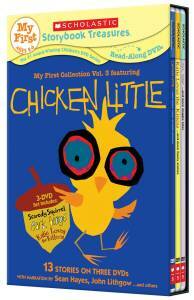 Disclaimer: Scholastic provided the above information and My First Collection: Chicken Little DVD set for the purpose of hosting a holiday gift guide giveaway. Regardless, I only recommend products or services I use personally and/or believe will be a good fit for my readers. The views and opinions expressed on this blog are purely my own. Results may vary. No compensation was received. Don't let the pigeon drie the bus! I loved magic school bus and magic tree house when I was a kid! I like the Storia app. Don’t Let the Pigeon Drive the Bus DVD. Blueberries for Sal is a great book! Clifford books are always a favorite!